This week we are sending love and healing thoughts to little Artoo, Laura's little baby boy who is in the hospital with respiratory difficulties. 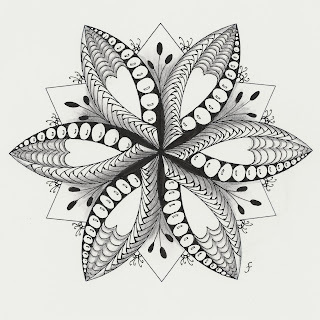 The whole world wide community of zentangle enthusiasts are creating these valentines in hopes of sending Laura and her family emotional support. The results are amazing. My entry is another Mandala, with lots of hearts radiating from the core bringing love. The Orbs are sending healing prayers and wishes that Artoo may be able to go home soon. Laura, we may not be there in person, but we are with you in spirit! 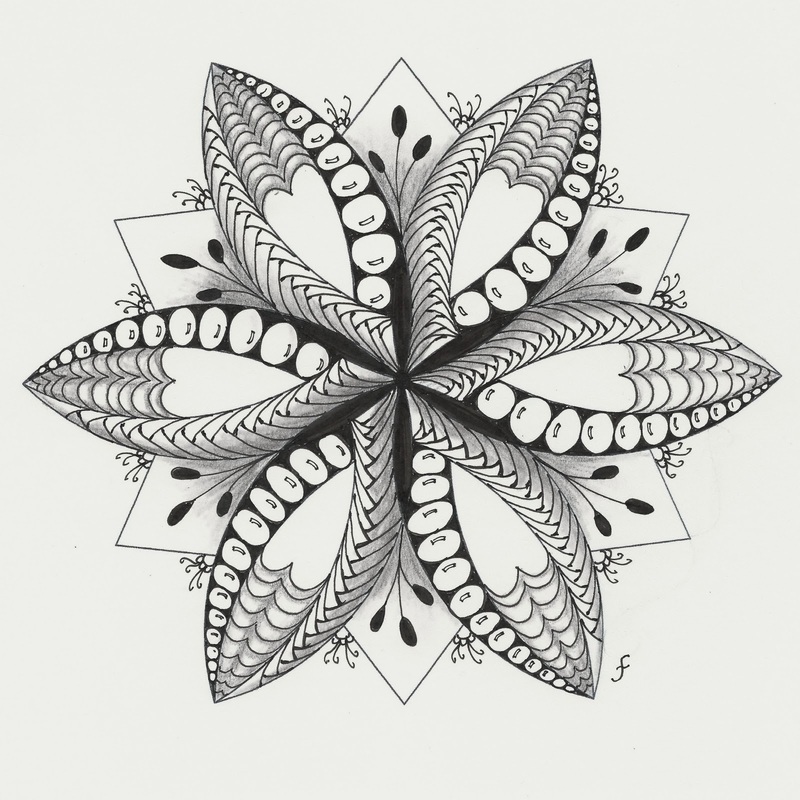 You ARE getting into mandalas! Lovely interplay of light and dark here. This one is so Airy! I love it. Such a lovely mandala. Beautiful job. Joni, this rocks my socks! I really, REALLY love it! Oh wow! So much joyful concentration, perfect! This is gorgeous Joni - love it!!! Beautiful kaleidoscopic designing. Your zentangels are wonderful.